There is a plethora of information out there given by diet and nutrition experts about what to eat for whatever ailment you may be suffering. Who or what do you believe? BDA spokesperson Sian Porter says “don’t take qualifications at face value.” Qualifications can be gained at a cost ranging.. Lets Raise a Glass to Hydration! 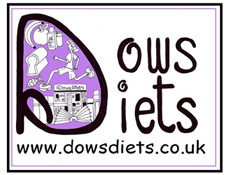 Weight management & nutritional guidance in Aberdeenshire.